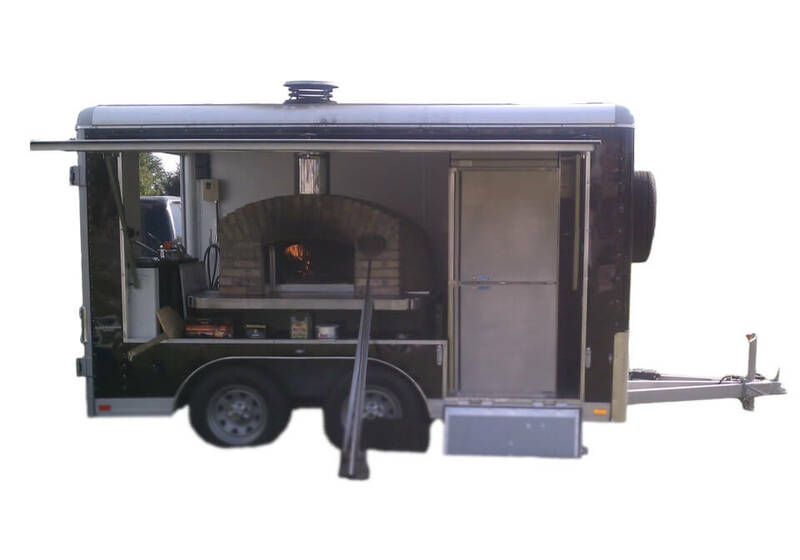 The Best Selling Mobile Wood Fired Oven in the World! 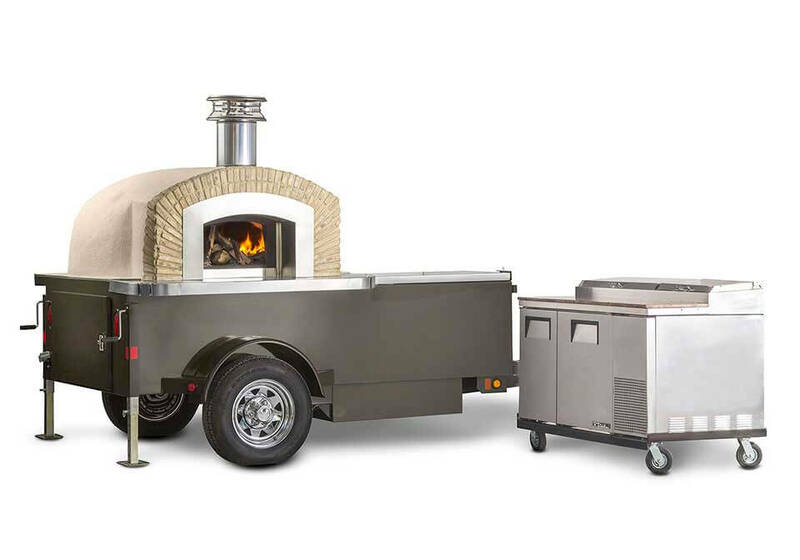 The Concessionaire is the best selling mobile wood fired oven in the world. Say goodbye to setting up separate dough rolling tables, coolers and ingredient holders. 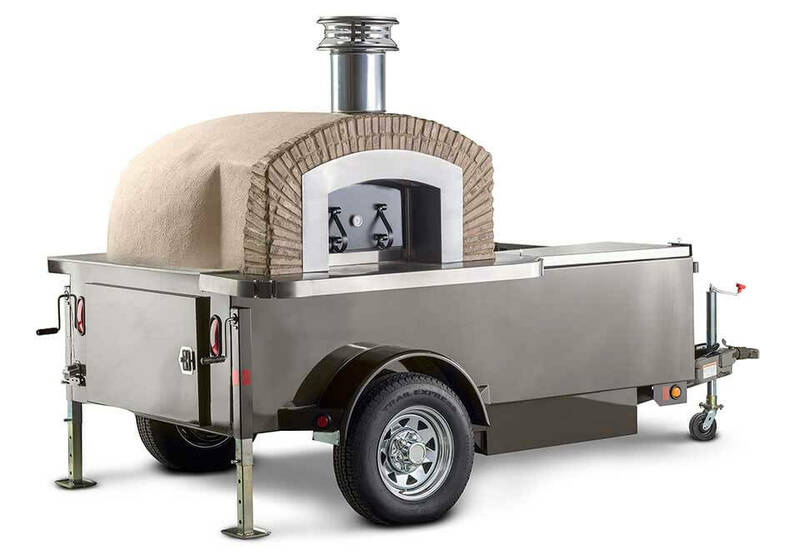 The front cargo bay gives you the ability to safely carry a pizza prep table. 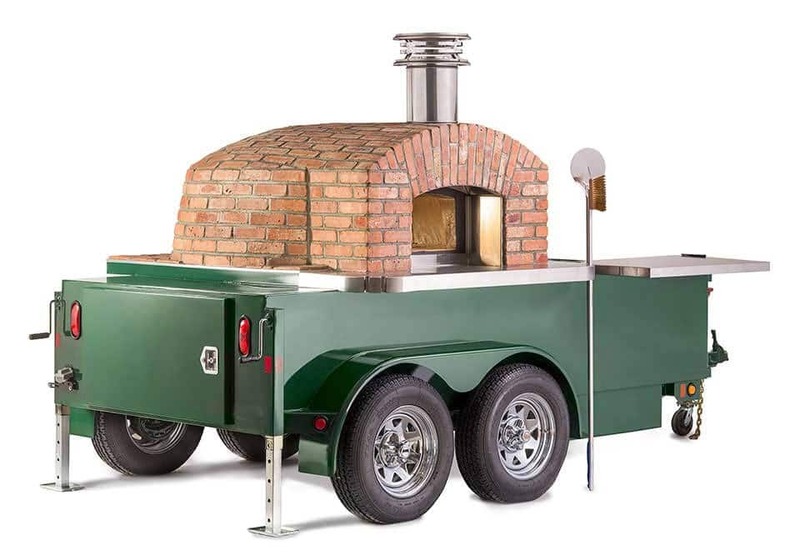 It features a 40, 44 or 48″ passenger side oven entrance which makes it convenient for pulling up to curbside events. You are now a practical cook and serve operation, and best of all totally mobile and modular. Your food isn’t the only thing that is making an impression on your customers. In addition, safety and reliability are 2 critical factors that quietly influence your business’ success, with peerless construction that backyard projects can never live up to. A refrigerated pizza prep table is the ideal set up to keep all your pizza dough cool underneath, your ingredients readily available and have the counter space to make the pizza. With the Concessionaire the ideal complimentary piece of equipment is transported right on the trailer. Never mind having to load this prep table on a separate trailer or in and out of a cargo van. * Refrigerated pizza prep table sold separately.